Welcome to our facilities, we hope you feel warm and welcomed. Here at Rocky Mountain Acupuncture and Chinese Medicine our Arvada acupuncture clinic, is a full service acupuncture and Chinese medicine clinic, focusing on the treatment and management of major and minor health related problems. Our beautiful up to date and modern style facilities guarantee you will feel comfortable and taken care of here while under our care. We are located in the beautiful Front Range of Colorado. We offer the best in care for restorative health therapies utilizing both modern and traditional therapies. With the use of traditional style acupuncture mixed with modern science and research our top rated care plans can meet the needs of most people who come to our clinic looking for help. Our experienced acupuncturist have been practicing for over 10 years and have seen success treating a wide range of different health ailments. Becoming a patient at Rocky Mountain Acupuncture and Chinese Medicine means you have given us permission to help you effectively fix and maintain the health problems you are facing while educating you about health at the same time. We take what we do seriously and being honored to help you with your health is a true joy and blessing for us. If you or some you know is looking to try acupuncture or is suffering from a health related problem that is not responding to other medical interventions then please, come visit our clinic and see if we can help. If you are interested in visiting our clinic please call us at 303 386 3559 or email us at [email protected] and we will get back to you as soon as possible. Time tested and modern therapies for the treatment and management of most common and uncommon health conditions. We have extensive experience in the treatment and management of many common and uncommon health related conditions and diseases. Over the past 10 years our acupuncturist has had the privilege of working along side many different types of health care practitioners from Doctors, Physical Therapists, Chiropractors, Massage Therapists, Physician Assistants, Nurse Practitioners and Psychologists. Having had a very well rounded approach to health care over the past few years the approach to your health is guaranteed to be well rounded and complete. In the past 4 years our acupuncturist has also had the privilege of traveling to China every year to study with well known and recognized Chinese Medicine Doctors, focusing on the treatment and management of many serious and chronic health conditions such as auto immune disorders, developmental disorders and cancer. The approach to health care at Rocky Mountain Acupuncture is complete and well rounded taking into account both western eastern understanding of the body and mind. With the combination of both western science and eastern traditional understandings of the connection of both body and mind we are able to provide patients with a clear understanding of their current state of health both physical, mental and energetic. 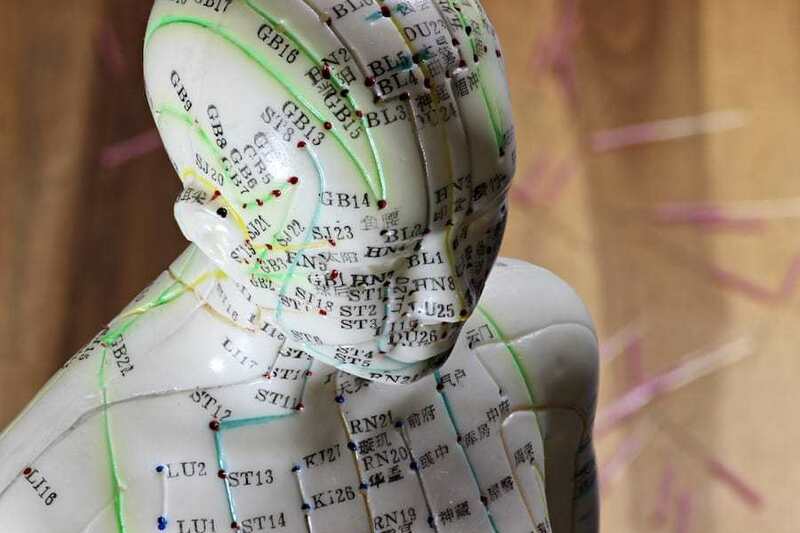 With the use of Acupuncture treatments, Chinese herbal medicine and subtle energy awareness you are guaranteed to see improvement in your overall health and find solutions to your current problems that need attention. Phases of Care and amount of time a patient will need to be seen at our acupuncture clinic. More often then not patients come in with more than one problem. Because of this the acupuncturist and patient will work together to determine the most important problem to treat first and then determine the next subsequent problems there after. During the time here patient will go through a clearly laid out care plan that will attempt to the best of the acupuncturists ability lay out the expected course or treatment while here at our acupuncture clinic. This care plan is usually broken up into 4 phases. Acute presentation, chronic symptoms, improvement and functional cure. During each of the phases attention will be given to specific areas of the body depending on the problem at hand. As a patient moves through the care plan symptoms will change and should improve to the point where a patient. Care plans and the amount of time a patient will need to be seen in the clinic will vary highly depending on the severity and duration of the current problem. For more accurate info about how long treatment can take please click the blue link. How many acupuncture treatments will I need. Education is at the core of Acupuncture treatments here. Understanding how acupuncture works is not necessary for success with acupuncture. However, having a good understanding with regards to why your symptoms are presenting the way they are will help patients moderate aspects of their life, mainly diet and exercise to get the most they can out of the time they are her at Rocky Mountain Acupuncture and Chinese Medicine for acupuncture treatment. During the time here patients will gain fair understanding of their physical imbalances with in the frame work out Traditional Chinese Medicine through education by the practitioners here. Patients will gain an understanding of their presenting pattern and how that pattern leads to the symptoms and problems they are currently experiencing. With this information patients will them be given optimal food suggestions and exercise recommendations that will help reinforce the treatments they are receiving while under the care at our clinic. Patients will come to understand over time how their emotions play a large role in their symptoms and learn techniques to become aware of the emotions related to each system of the body, developing awareness and hopefully insight to the triggers of the emotions there by helping to reduce the disturbance of the with held emotion in the body and the physical pain that is associated with it. Making sure our patients are well informed about their conditions and understand the phases of care that they will go through is also important here at Rocky Mountain Acu. We are hear as your partners in health, to help get you healthy and keep you there for life. Contact us today. Taking care of people is what inspires and motivates us. Come visit us at your modern professional Acupuncture and Chinese Medicine clinic today!